RAPID CITY, S.D. -- The United Urban Warrior Society said the Rapid City Journal, near Pine Ridge, has a history of writing false and damaging newspaper articles about Native Americans. The Warrior Society's resolution points out what is happening in many newspapers across the country, especially with bordertown newspapers, where the media has become a tool in the ongoing genocide and white supremacy in the United States, fueling hate crimes and injustice. Racists and white supremacists are using the comment section on articles about Native Americans to attack Native Americans with hatred, agitate crisis, provide misinformation, and in some cases even provide personal information to target and endanger the lives of specific Native Americans.The comments at many newspapers are not monitored. The comment section, however, is not the only problem at bordertown newspapers like the Rapid City Journal in South Dakota and Arizona Daily Sun in Flagstaff, Arizona. An examination of the content and history of these newspapers will show an anti-Indian focus, including presenting Native Americans as criminals, giving priority to non-Indians in conflict situations, and reporters failing to show up and be present, on the most important stories. In many cases, the editorial stance of the media is one of white supremacy over Native American rights. The Arizona Daily Sun deserves a place in the Hall of Shame for failing to adequately cover the lock-downs and marches to protect sacred San Francisco Peaks. Instead, the newspaper gave priority to the out-of-town, non-Indian business owner, of Arizona Snowbowl. Rapid City Journal has a history of quoting the police first. In this way, the newspaper allows police to instantly become the judge and jury. As an example of how newspapers in bordertowns perpetuate the beatings, murders and hate crimes targeting Native Americans, the Farmington Daily Times changed the facts in this reporter's article when Navajos were beaten by white teenagers with baseball bats in the early 1990s. The newspaper was sold after a complaint was made to the US Civil Rights Commission. Now in Arizona, the media, including Arizona Daily Star and AP, gives priority to the coal-fired power industry and non-Indian water rights, over the rights of Native people. This includes the Navajo Generating Station, Salt River Project and the theft of water in the so-called "Indian water rights settlements." At the same time, the Arizona media focuses on American Indians as criminals, or relies on frivolous and distracting articles. 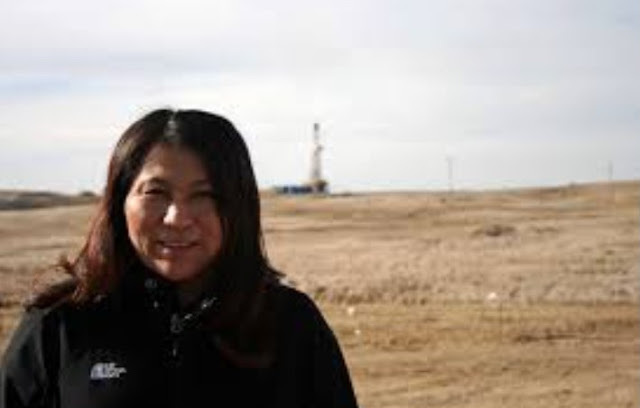 In North Dakota, the media largely ignores the genocidal oil and gas industry on Indian lands. Nationwide, the oil, gas and fracking industry is given priority over the voices of those struggling to save their land and communities. Throughout the country, the media promotes the concept of toxic dumping and nuclear waste storage on Indian lands, and promotes the "not in my backyard" approach for non-Indians, while ignoring life-threatening dumping on Indian lands. The articles are easy to analyze. Simply examine who is quoted first and given the priority in the article. Also, examine how much space, and how far up in the article, are the quotes of Native Americans. Then, there is a determination of the facts, fairness and accuracy. An anti-Indian perspective is easy to spot as well. There is always the question of whether the reporter was present to determine the facts, or is relying on rumor, plagiarism, or a quick phone calls. If the reporter was not present, then there is no guarantee of the facts in the article. In most cases, Indian Country Today does not have a reporter present and uses plagiarism, rewrites of others hard work, or brief phone calls. Armchair journalists, plagiarizers, and copy-and-paste journalists promote injustice when they fail to uphold the ethics of journalism due to laziness, and then cover it up with deception to receive a paycheck. The Warrior Society said, "If we are going to move forward as a community and heal the historical wounds, caused by animosities and hate, we will need this paper to step up and lead us out of this circle of hate and stop tearing this ugly scab off our community for the sake of just news and selling a paper." Whereas, United Urban Warrior Society on behalf of the local native community in South Dakota, recognizes that the Rapid City Journal has a long history of writing false and damaging newspaper stories about the Native American community of South Dakota. Whereas, since the creation of the Rapid City Journal in 1878, they have been known as agitators creating division between the Native American and non-Native American citizens, in many cases promoting and encouraging genocide against the Native Americans, as per public historic documentation. Whereas, United Urban Warrior Society has made an attempt to speak in a private meeting ( 12 March, 2012) with the Editor of Rapid City Journal, and was promised certain provisions would be made in support of the Native American population, then failed to materialize. Requests will be made that the comment section pertaining to any Native American issues either be turned off or deleted entirely for all stories. It is further requested that they include in their community profiling a Native American section pertaining to Native American issues, events and advertising. Whereas, the Rapid City Journal is the voice of our community and sets precedence over what the community will believe, what they read and/or are influenced by. Rapid City Journal must be vigilant at all times to the Influence that they posses within the community...If we are going to move forward as a community and heal the historical wounds, caused by animosities and hate, we will need this paper to step up and lead us out of this circle of hate and stop tearing this ugly scab off our community for the sake of just news and selling a paper... We need to promote our community and the diversity of its people in a positive way or a balanced way for all of us. 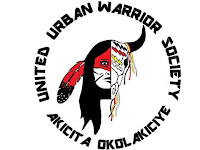 Therefore, be it known that it is the intention of United Urban Warrior Society to file a formal complaint with the State of South Dakota Governor, Rapid City Government Officials, all Tribal Chairmen, and all news media across the state and nation, if there has been no satisfactory solution obtained within 90 days of receiving this proclamation. Now, Therefore, United Urban Warrior Society, do hereby proclaim that beginning on (date to be determined) there will be continued protests in front of the Rapid City Journal Offices until changes be made, promises be kept, and a public apology be issued to the Native American citizens of South Dakota for the false and damaging newspaper stories of the Rapid City Journal. Brenda Norrell has been a reporter in Indian country for 31 years. During the 18 that she lived on the Navajo Nation, she was a reporter for Navajo Times, Arizona Daily Sun, Farmington Daily Times, and a stringer for AP and USA Today. After serving as a longtime staff writer for Indian Country Today in the Southwest, she was censored and terminated and created Censored News, now in its 7th year. Right on and good power to all those who demonstrate against racist and biased reporting that diverts readers from facts and pressing issues by posing as earnest, ethical journalism. That people parse and analyze the structure and substance of news stories, as you suggest, is excellent advice, the sort that also applies to major news sources like the New York Times. I speak from experience. For example, after the massive No Nukes rally at what was then Battery Park City landfill in NYC in 1979, an editor colleague and I combed the next-day coverage in the Gray Lady and found that nearly one half the paragraphs of the front-page article were about some 14 drug overdoses and other medical assistance events that took place among a crowd of 200,000 persons. Those who attended the rally had included families and folk of all ages and walks of life - my colleague and I had attended - yet the NYT always conveniently quoted a young person "who was swigging from a beer can" or someone wearing a "Grateful Dead" T-shirt. The same held true regarding persons "interviewed" at rallies I attended before the start of the 2003 Iraq Invasion. Somehow the NYT's reporter was never inclined to gather a quotation from one of the many Middle Eastern women who were present conspicuously wearing head scarf or from the many Yeshiva University students in attendance, a few who on one occasion carried an oversize Israeli flag bearing the peace symbol. Not overtly biased reporting, but omission can be an even more subtle way of passing off corrupt, misleading story-telling as good journalism. So parse and protest away.